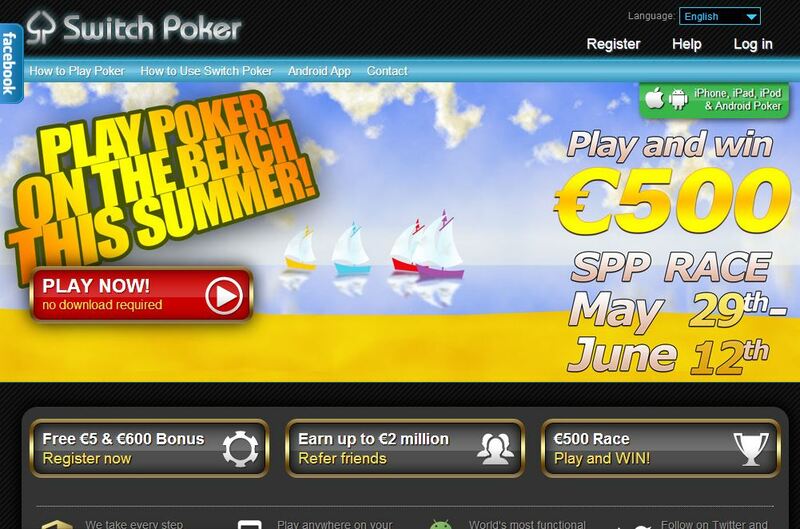 Switch Poker was launched in October 2010 with an aim to be a poker betting site that is also playable on mobile devices. It constantly makes innovations in this field as it was the first poker site to make their platform available in tablets and by integrating the virtual currency Bitcoin into their payment system. A few years after their debut in the industry, this poker room continues to make a name for itself through the key features and services unique to its brand. Find out about these outstanding facets that keep poker enthusiasts betting on poker on this gambling site. Switch Poker ensures that the gambling experience will continue to please Bitcoin poker players who are mostly from Europe; that is why it features an array of quality cash games and tournaments. Bettors can find here No Limit Hold’em and Pot Limit Omaha, including Heads-Up, 6 Max, and Full Ring tables. Likewise, this betting site hosts a series of tournaments that are guaranteed to keep the bettors playing while aiming for a win. In its early years, this poker room did not feature tournaments since its focus was primarily on mobile gaming. Fortunately, poker tournaments have since become available. Poker enthusiasts, who own either an iOS or Android-powered device, will have the opportunity to bet on different poker games and tournaments on their devices. In fact, iPhone, iPad, and iPod Touch users can easily access this poker room online through their mobile browser. On the other hand, Android smartphones and tablets will require downloading the poker site’s native app. Either way, mobile players are assured of experiencing quality poker betting, especially through the poker software this online gambling site runs on. The gaming software used to power Switch Poker has been designed to function seamlessly in browsers on desktop computers and even on smartphones and tablets that run on mobile 3G connection. The platform uses simple and light images of various gaming elements for the poker client to load as fast as possible. Nevertheless, this does not hamper on the visual aesthetics of the poker room when bettors play Bitcoin poker. All communications and transactions between this poker room and the players’ devices are encrypted using SSL, a cryptographic system protocol for mobile and Internet websites. As such, the deposit and withdrawal methods used in this Bitcoin online gambling site are guaranteed to be safe. Likewise, the servers are protected by Cisco firewalls while sensitive data hosted on the servers are secured using 256-bit AES encryption. Meanwhile, when it comes to the fairness of the games, an industry standard FIPS certified RNG is used. 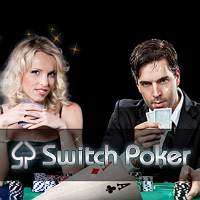 By focusing on security, Switch Poker manages to earn confidence from the online poker players.